In Rubinstein Publisher's summer catalogue Kak! 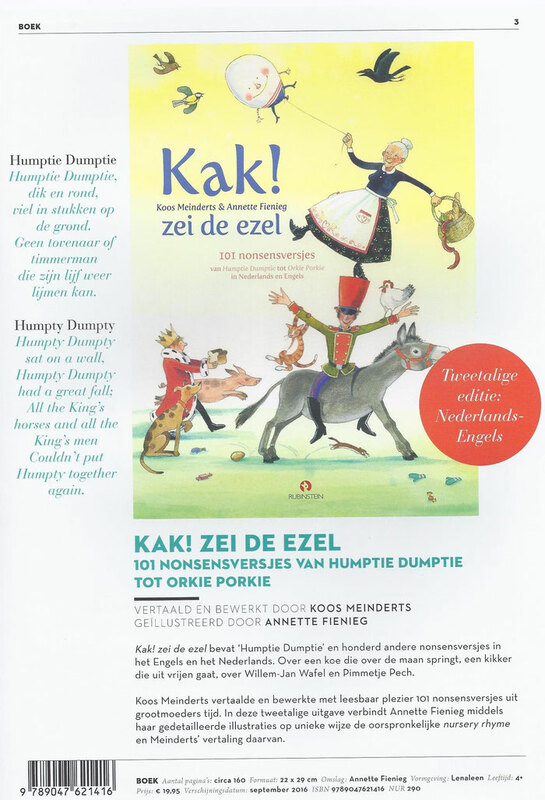 zei de ezel is announced, our new book of 101 nursery rhymes in both the original English and a Dutch version by Koos Meinderts. The book will be out in September.